New Yorkers with a Library Card Can Now Stream 30,000+ Films, via @kanopy « Adafruit Industries – Makers, hackers, artists, designers and engineers! 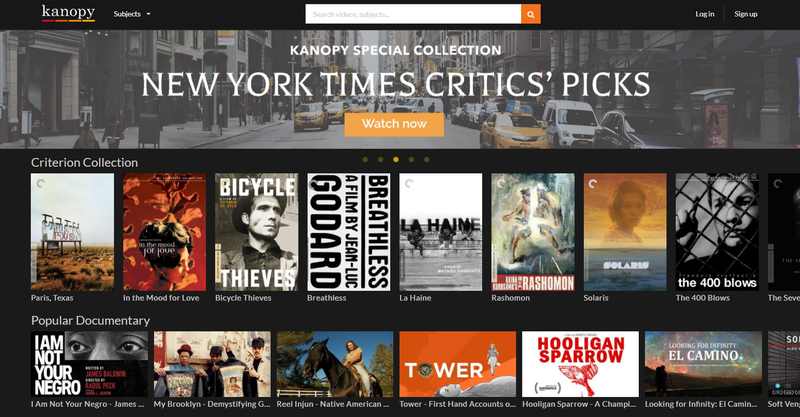 Beginning today in partnership with Kanopy, cardholders of the New York Public Library (the library system of the great city Adafruit calls home) can now stream 30,000+ movies online. The streaming service is limited to 10 “movies” per month (I assume a TV episode counts as a “movie”), so it would take 250+ years at that rate to stream their entire collection. But hopefully you’ve already seen some of these fantastic films and can focus instead on the hard-to-find or rare titles, including Criterion films (such as For All Mankind – The Apollo Space Missions), Makers: Women Who Make America, The Robotics Series, and much, much more. And New Yorkers who don’t already have a library card can easily apply for one online here!